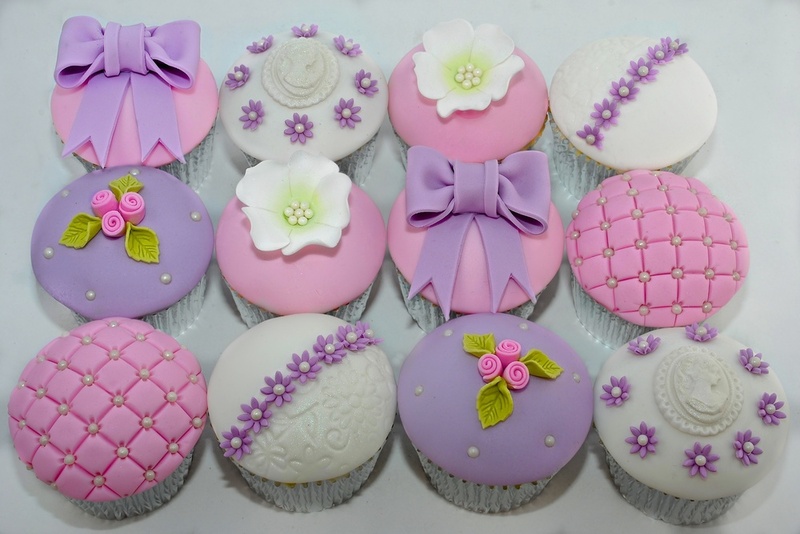 During this 4 hour class you will learn how to decorate 12 cupcakes in the stunning Bows, Rose and Pearls class design. Spend the afternoon creating gorgeous open roses, pretty bows and perfectly domed cupcake designs. The Bows, Rose and Pearls cupcake decorating class is a fondant sugar paste based class. You will be taught how to use a variety of tools and cutters to make delicate decorations including the beautiful open rose, rolled roses, moulded cameos and the hand made gorgeous blousey bow. 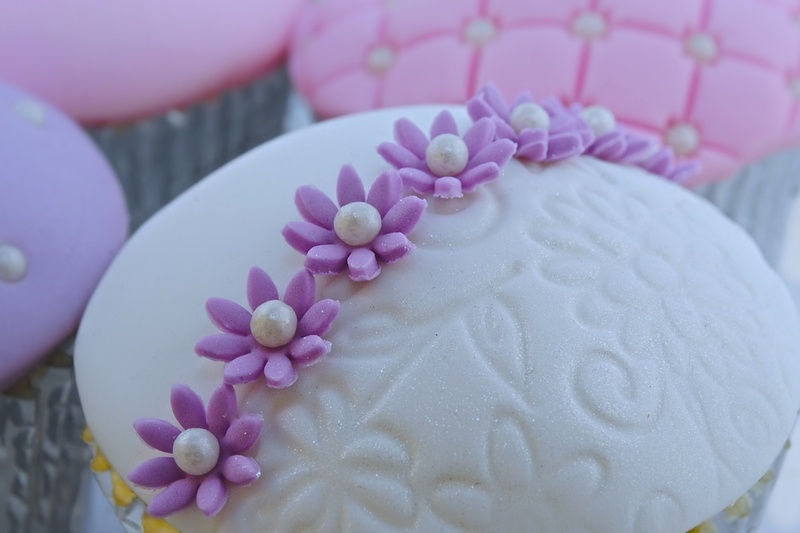 You will learn how to emboss sugar paste and create perfectly smooth domed topped cupcakes. Although the class concentrates on the cupcake decorating a short introductory talk is given at the start of the class on how to bake and prepare the perfect cupcake ready for decorating. This information, full of informative hints and tips and the recipes we have used for the class, is also provided on a fact sheet for you to take away at the end of the workshop. All ingredients and equipment to create the class designs are supplied for use for the duration of the class, including an apron to protect your clothes. Once you have booked your class space, all you need to do is turn up! Complimentary tea, coffee and biscuits will be served during the class. At the end of the class there will be a small shop with a selection of equipment for sale including recommended cutters, nozzles and tool sets, should you wish to recreate any of the class designs at home.